Life seems to have suddenly come to a standstill for Puspanjali Suna, wife of Dharmu Mahananda living in a small village in Sonepur district, Odisha. 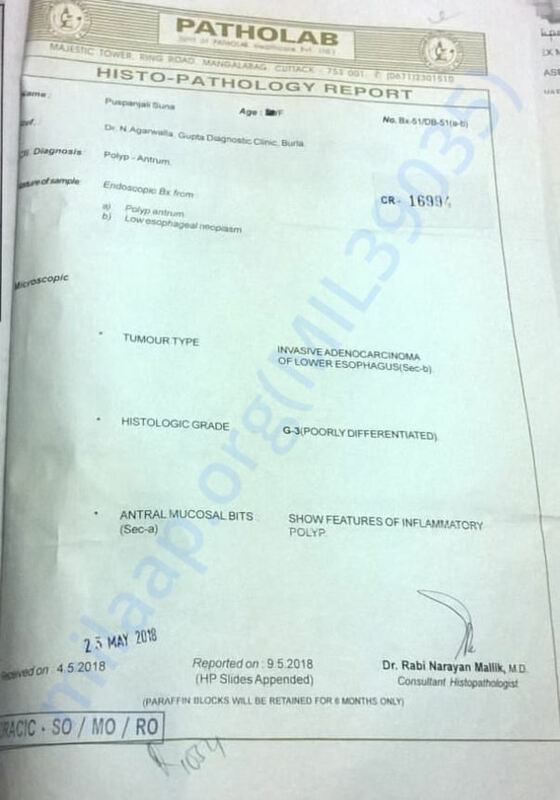 For this 31-year -old mother of two young daughters (studying in class V and LKG) has been diagnosed with Invasive Adenocarcinoma of lower esophagus (stage -3 thoracic cancer) at Burla Medical College, Samalpur district, Odisha. 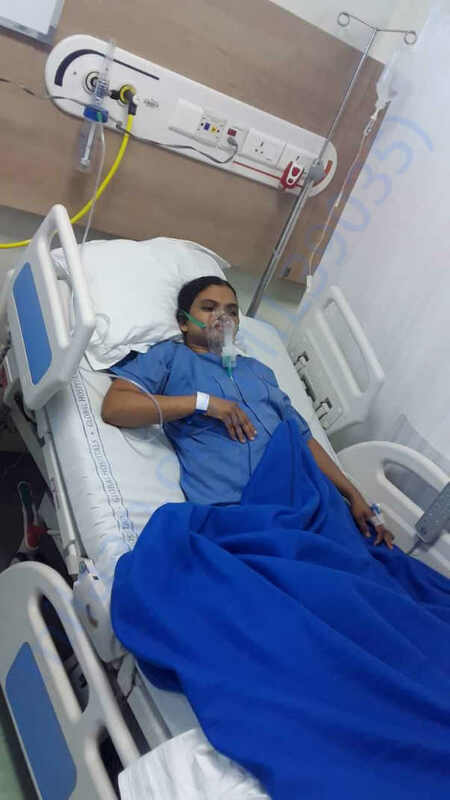 In a desperate attempt to save her life Puspanjali’s husband Dharmu Mahananda has taken her to TATA Memorial Cancer Hospital in Mumbai where she is now admitted. The required investigations are on before surgery. 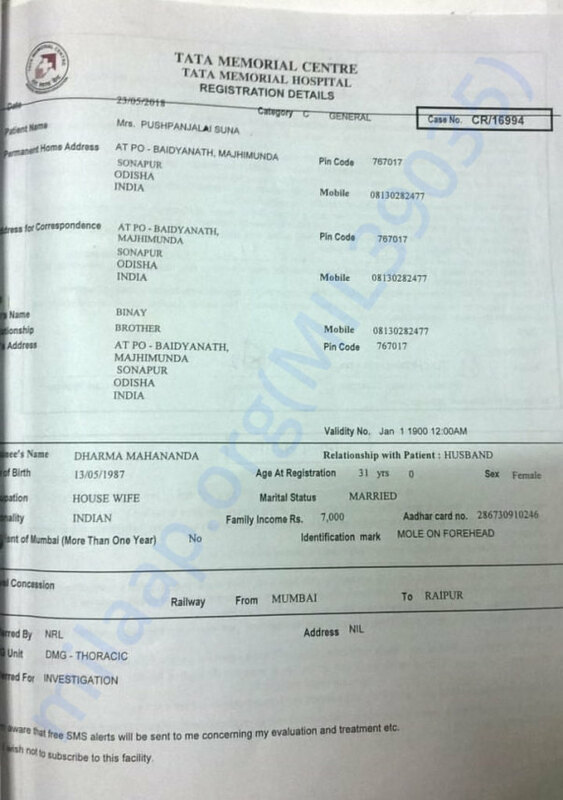 Puspanjali’s husband, the only earning member of the family earns a mere 12,000/- a month, and the family struggles to live within that. Therefore, Puspanjali’s economic condition doesn’t enable her to undertake the huge expenditure of Rs 5 lakhs (5,00,000) for her treatment of cancer which includes surgery and chemotherapy. In addition, Dharmu Mahananda has to pay for the daily expenses living in a city like Mumbai. 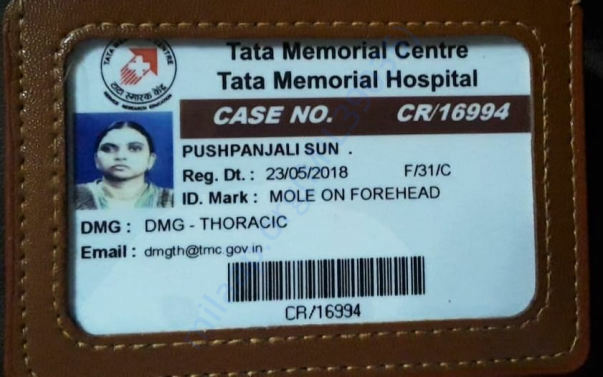 Puspanjali is growing weaker by the day. She says “I want to live and see my daughters grow up and study.” Come forward and help this young woman to live this life and not die so soon! 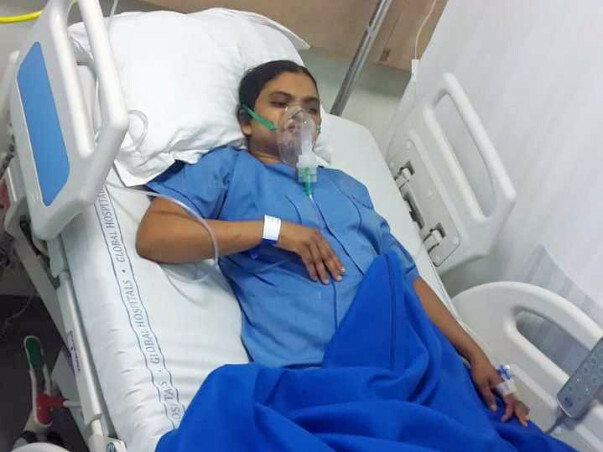 Please contribute to Puspanjali’s treatment and well being. Let puspanjali recover in early with the grace of GOD and many more supporters - Donaters.